On the court, NBA stars are larger than life, but sometimes we get painful reminder that they, like everyone else, are only human. Just as we cheer them when they play, we honor them in death.Let’s take a look at some NBA players whose untimely passing sent the most waves through the league. 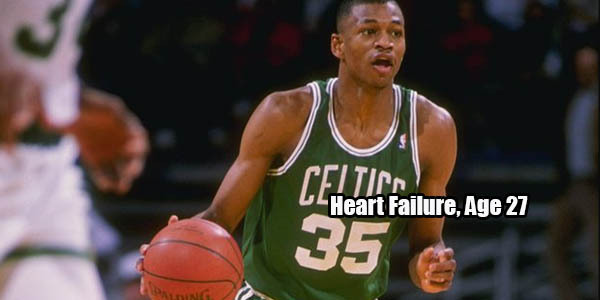 Reggie Lewis had a superb season in 1992-93, averaging 20.8 PPG. He was set to inherit the Celtics after Larry Bird’s retirement, but unfortunately it was not meant to be. The 27-year old’s career and life were cut short by a structural heart defect in the summer following that season. The Celtics retired his number 35 jersey the following season.